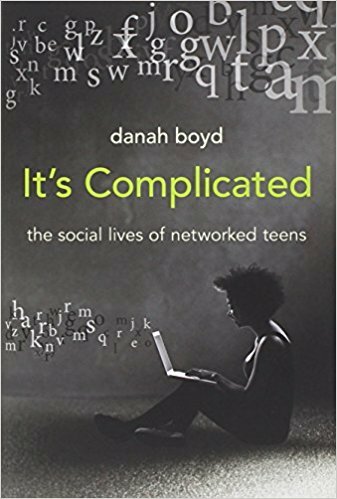 For your next blog assignment, write a post between 200 and 400 words in which you first quote, then react to a statement (a sentence or two) in Chapter 2 of danah boyd's book It's Complicated that caught your attention. 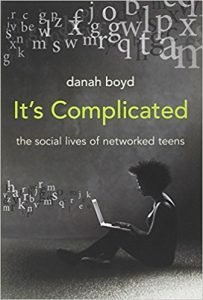 You might address how the statement affects your understanding of privacy, connections you see between the statement and other ideas we've discussed this semester, or your own opinions on the statement. Please (1) give your post a descriptive title, (2) assign it to the "Student Posts" category, and (3) give it at least three useful tags. Your post is due by 9:00 a.m. on Monday, November 12th. Note: If you'd rather leave a 200-400 word response on a peer's post than start your own post, that's fine!